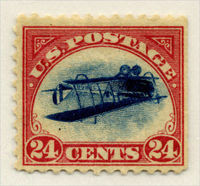 Have an old collection of stamps? Inherited or collected by yourself? We buy them! While stamp collecting isn’t as popular as it once was, stamps still have value in today’s market place. The Frederick Coin Exchange has partnered with a stamp dealer from Virginia who comes the LAST WEDNESDAY of the month to evaluate stamp collections. We are very competitive with price for collections, singles or hoards. If you are selling stamps, we would like to purchase them. Please note: If you would like to drop off a collection for evaluation, you may do so during the month and we will have our specialist evaluate it at his earliest convenience. Please call (301) 898-2863 to get more information and to ensure Roger will be here on the days listed below!